On Sunday, April 8th, the South Jersey Catholic Medical Association of the Diocese of Camden held its Annual Mass and Communion Breakfast at the Chapel of Our Lady of Lourdes Medical Center. 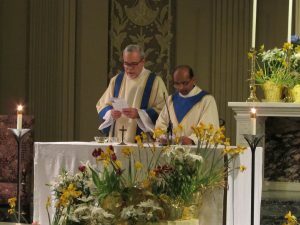 The celebration began with Mass celebrated by Father Sanjai Devis, Diocesan Director of Hospital Chaplaincy and Spiritual Advisor for the physician group. Following Mass there were two wonderful presentation highlighting the issues of refugee resettlement and immigration in our region along with the particular struggles and challenges faced by immigrants and refugees as they seek needed medical care. Mr. Patrick Barry, Director of Migration and Refugee Services, Diocese of Camden, gave a very informative and engaging talk on refugee resettlement issues and concerns here in the Camden Diocese. 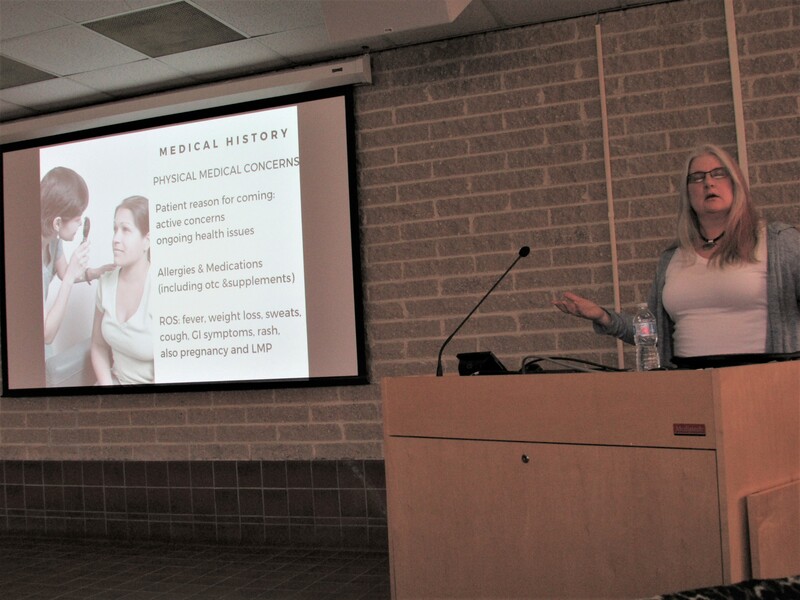 Dr. Elizabeth Crowley, Medical Director of Volunteers in Medicine, spoke about the particulars of the medical screenings and often encountered medical needs of immigrants. 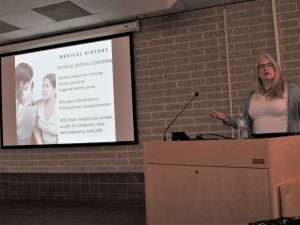 She also addressed the challenges and struggles for them to access the medical system and adapt to the cultural nuances of American medical services. 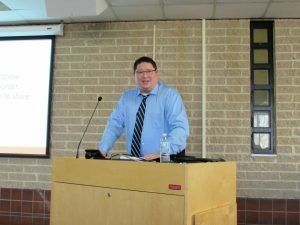 The morning was well attended by over 50 doctors and healthcare practitioners who came away with a better appreciation of the needs and continuing challenges of the healthcare system to address these important concerns of our brothers and sisters from other countries seeking a new life here in America. 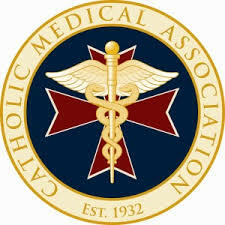 For more information or to request membership in the SJCMA, go to their website at sjcathmed.org or contact Deacon Jerry Jablonowski, Executive Director, VITALity Catholic Healthcare Services at gerard.jablonowski@camdendiocese.org. Patrick Barry, director of Migration and Refugee Services, Diocese of Camden. 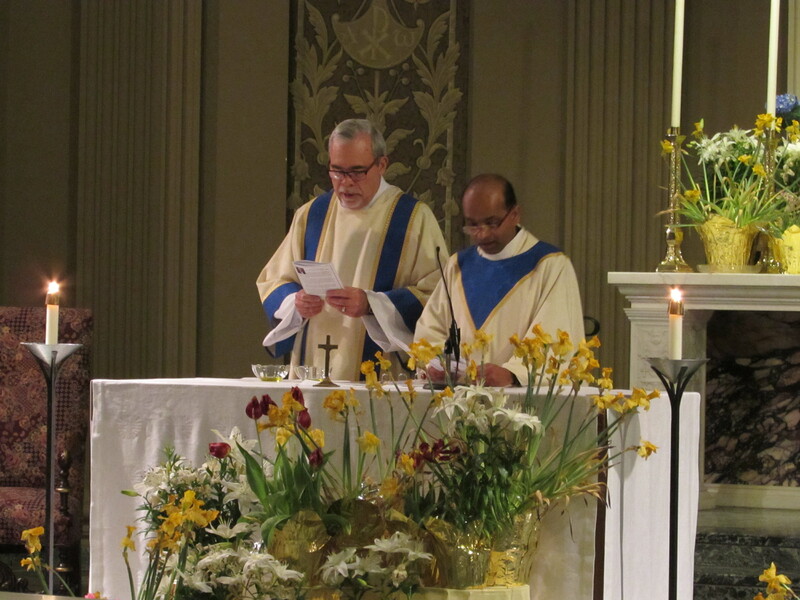 Deacon Jerry Jablonowski, Executive Director of VITALity Catholic Healthcare Services and Reverend Sanjai Devis, VC, Spiritual Advisor to the SJCMA. Dr. Elizabeth Crowley, medical director of Volunteers in Medicine.